Home › Sales › Semi Annual 50% Off Sale! + 20% Off Full Priced Items! Semi Annual 50% Off Sale! + 20% Off Full Priced Items! 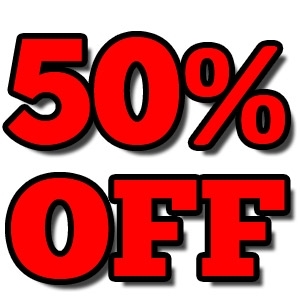 50% Off 100’s of select items! (Marked with stickers! 20% Off all full priced items (with the exception of Mystery Boutique 560) through 8/22.